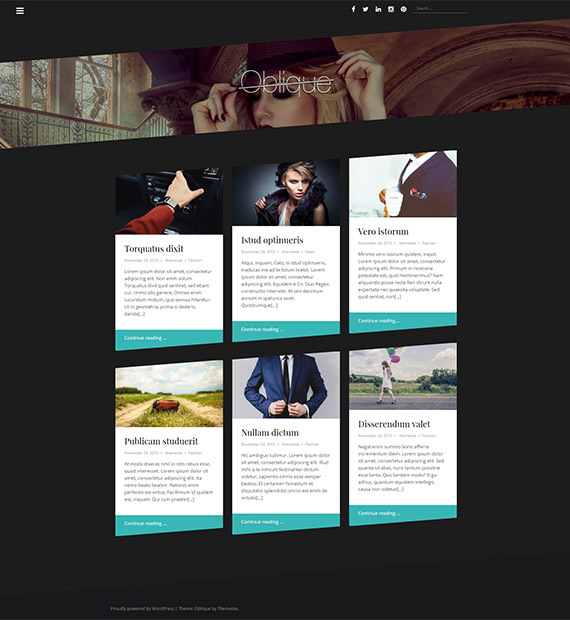 Creative and modern, Oblique is a stunning Free WordPress blogging theme that is fully responsive. It is best suited for fashion, travel or food blogging sites but you can use this multipurpose theme for any type of site. The Parallax header images, as well as full access to colour changes, are some of the features that make this theme awesome! With unlimited colour schemes as well as font options, this is probably one of the best free blogging themes by ThemeIsle. Want to show people your pins on Pinterest? Integrate Pinterest on your website and let your users know what you are interested in a matter of seconds.